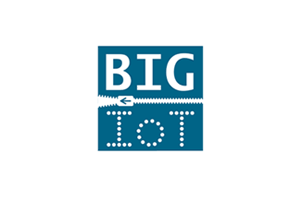 BIG IoT aims at: – fostering open IoT ecosystems – lowering market entry barriers for IoT ecosystem stakeholders (service developers, platform providers, etc.) – enabling syntactic & semantic interoperability of IoT platforms. BIG IoT does not develop yet another platform. Instead, it facilitates the reuse and development of existing methods to allow interweaving of existing and future IoT platforms, smart objects, and users. To enable third parties (SME’s, IoT platform providers, application/service developers etc) to develop their assets based on the BIG IoT technologies. And thus, take part in the BIG IoT ecosystem by offering and monetizing those assets in the BIG IoT marketplace. More information on BIG IoT can be found HERE.